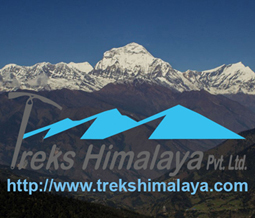 Treks Himalaya an indoor outdoor trekking and tours operative company takes you that further way to guarantee you has a memorable trip that you have been dream with Treks Himalaya is part of your choice. We have 3 days to 30 days your Nepal trekking to choose but it depending of your timetable. We always respect our duty to constantly your Nepal holiday. Whether you are looking for a quiet gateway, a memorable outing with a family or an exciting nature. We offer you with the best progressive information and itinerary leading focused and modified as per your requirements. It is significant to memorize, though, it necessitate an enough level of physical homework and must remembers that there is also a psychosomatic assurance in walking in mountains. We attempt to encourage Nepal to the exterior world while striving to defend an aged tradition as well as conserve the surroundings for generation to come. We specialize in organize Nepal travel activities excursion such as:- Trekking, Helicopter Tour, Peak Climbing, Mountain Flight, Honeymoon Tour, Sightseeing, Rafting, Jungle Safari, Pilgrim’s Tour, Hotel Reservation, Air Ticket, Tibet and Bhutan Tour many more your vacation desire. We dedicated ourselves to take each step essential to provide you and skill you will dotingly look back upon not kind what it cost you, as you will be recurring a wealthier person full of reminiscences. Trekking and tours company in Nepal that is very believable, responsible and fully offers personage, group, tailored travel and trekking excursions in Nepal. If you would like to explorer lifetime knowledge of trekking and visiting destination of different part of Nepal as well as tours to Bhutan and destination Tibet in a secure and safe mode, then we is the exact agency for you. Our trekking tours team involve knowledge all aspect of country, the enormous historical sites, natural loveliness and wildlife, most prominently, they give you the opportunity to get with local people and to see their custom first hand. Join with us to discover the exotic pleasurable the excitement of trekking, tours and charming discovery.